In a 1-quart jar, steep the gin with the dried epazote for 8 hours. Strain into a pitcher. Rinse a chilled coupe glass with Chartreuse, then discard. Fill a cocktail shaker with ice. Add 2 1/2 ounces of the epazote gin and shake well. Strain into the glass. Garnish with the fresh epazote and serve. Use the remaining epazote gin to make more cocktails. 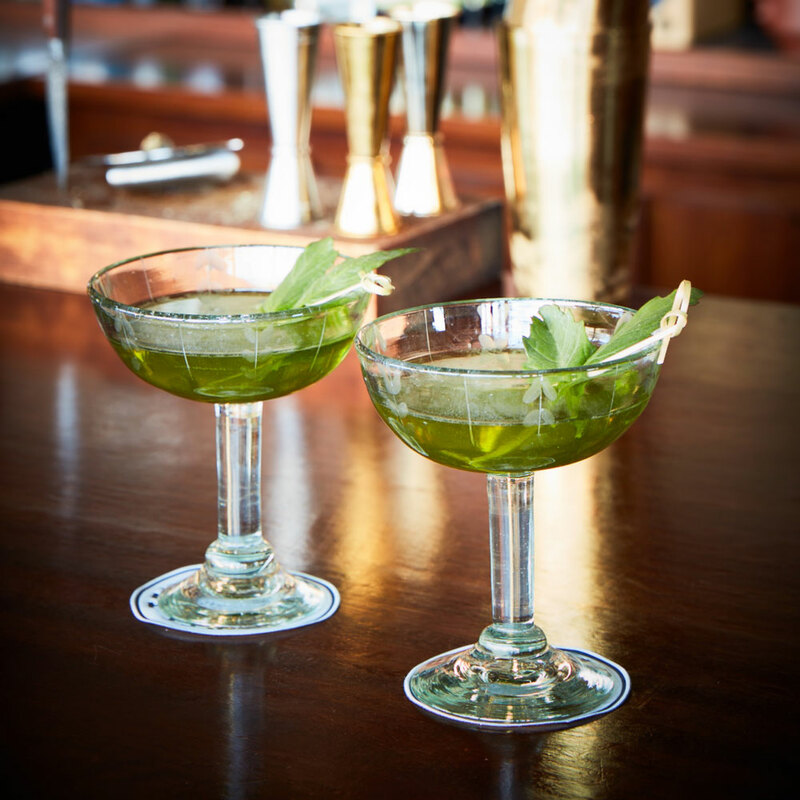 Epazote is a Mexican herb with notes of camphor, mint and citrus. It’s available dried at kalustyans.com. Review Body: This mint martini looks legit!